A three-week French language immersion program for teachers. This program has been approved by the UBC Faculty of Education for 2019 – Book before May 3! Join UBC Faculty of Education in a nineteen-day non-credit language and culture immersion program at the Collège Mérici in Quebec City. The program is designed to meet the needs of all French second language teachers, both experienced teachers and those entering the profession, and is open to all levels of French second language speakers, from beginner to advanced. Joignez-vous à nous pour explorer la vieille ville avec des enseignants de français de partout au Canada! A unique French language immersion program situated in the historic setting of les Plaines d’Abraham in the heart of Quebec City! This program is intended for school teachers and administrators interested in improving their French language skills and experiencing Quebec culture. Please note that the program is delivered entirely in French and it is therefore recommended that teacher-participants arrive with some basic understanding of the language. Morning classes, afternoon workshops and field trips concentrate on improving the teacher-participant’s ability to converse in French. Communicative methods are used to encourage active student participation. Visits within the community are an integral part of the program. Participants are expected to have a reasonable level of fitness as the Institute includes numerous field trips. Additionally, the Collège Mérici does not have an elevator, access ramps, etc. Our instructors are experienced language educators who interact with participants both inside and outside the classroom, making this a truly immersive language experience. BC teachers are eligible for a Canadian Heritage bursary that covers up to half of the program cost if they speak French as an additional language and are or will be involved in the teaching or supervision of French programs. For the past 47 years, the Quebec City Summer Festival, the first of its kind in North America, has put on hundreds of varied shows and concerts for the festival, making it Canada’s biggest outdoor artistic event. The festival offers more than 300 shows playing on five different stages during its 11 day run. Festival wrist bands offer admission to all the outdoor shows and concerts. They can be purchased on the Internet. If you are interested in attending the festival during your stay in Quebec be sure to get your ticket well in advance. In 2016 the Institut de Français, UBC à Québec celebrated its 25th anniversary at Collège Mérici in Quebec City. It was also the 40th anniversary of the Institute that started as an initiative of the BC Ministry of Education in 1976. The first six Institutes were run by small groups of teachers who received block funding. At that time, UBC was offering its own non-funded summer program for teachers in collaboration with Université de Montréal. Participants spent one week at UBC before going to l’Université de Montréal for three weeks. The program was successful and, when proposed as a possible model for the Institute, received the enthusiastic support of the Ministry. The first Institut de Français, UBC à Montréal took place in 1984 and offered three different streams: for Core-French teachers, for French Immersion teachers, and for Programme-Cadre teachers (today Conseil Scolaire Francophone). That year, 145 BC teachers participated. The Institute consisted of equal numbers of UBC instructors and Université de Montréal instructors. The Institute ran successfully for a number of years, and was then reduced to three weeks (without a stay at UBC). The program moved to Quebec City in 1990, where it was first hosted at the CÉGEP of Cap-Rouge and the following year in a community centre in Vieux Québec in Quebec’s historic centre. In the fall of 1991, the Institute was relocated to the Collège Mérici which, at the time, was run by a religious congregation and teaching local students. UBC had finally found a home for its Institute in Quebec City in close proximity to the historic sights of la vieille ville. After many years under the direction of UBC’s Continuing Studies, the Institute is now administered by the Department of Professional Development and Community Engagement in UBC’s Faculty of Education. Today, the Institut de Français, UBC à Québec demonstrates UBC’s commitment to promote professional development for French second language teachers by supporting their continued language and cultural development with an emphasis on pedagogy and instructional practices. The long-standing history of the Institut de Français, UBC à Québec clearly shows that a successful program can last well over a quarter century without losing its vibrancy. The hundreds of teachers who have attended the Institute can attest to the continuing welcome at College Mérici and the care and enthusiasm of the UBC instructors who offer such an exceptional program. It was a wonderful three weeks. Very well organized and educational. Amazing outings. An all around unforgettable experience with wonderful staff, including the kitchen and office staff at Mérici. We were so warmly welcomed, everything was so well organized. The location of Mérici was fabulous for accessing downtown and festival d’été. All around I would highly recommend this program and would like to come back sometime. I have participated in several other teacher summer programs, and this was by far the best. Merci !!!!!!!!!!!!!!!!!!!!!!! This summer I had two goals: travel to an exciting city and attend a French language institute. I googled “French camp for teachers” to see where other Canadian FSL teachers go to polish their language skills. I noticed a three-week institute in Quebec City offered through the University of British Columbia’s (UBC) French Centre. This institute invites teachers from BC, across Canada and the United States, to meet in this historical and unforgettable city to improve language skills and immerse in a Francophone community! I decided to attend their institute so I could meet other teachers from across Canada and learn in a city I love! What made UBC’s institute truly unique was its location. 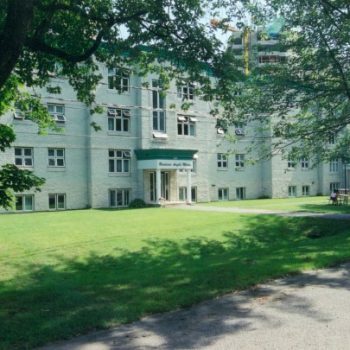 Housed for the last 25 years at Mérici College (located next to The Battlefields Park and the Plains of Abraham), this location puts participants in the heart of Quebec City. Surrounding the college is a thriving community of professionals, families and small businesses. My daily routine to get groceries or a morning coffee gave me a chance to meet local residents, immerse quickly in my new surroundings, and start communicating entirely in French. What an adventure! The program was outstanding. The teaching staff provided an excellent curriculum and schedule of events that included a blend of classroom instruction, cultural lessons, songs, dance, improvisation, outings, celebrations, and French film. Not limited to the classroom, we were transported to Quebec’s most beautiful scenic/historical areas. We visited Quebec’s oldest churches; toured a provincial museum housing Quebec’s best artists; celebrated the maple syrup trade and traditions of the Quebecois; took in Montmorency Falls; and, completed a treasure hunt through Quebec’s oldest business districts. There was never a dull moment. We were promised an immersion of the language and culture and we got it. On a personal note, it was also nice to find some time on my own after a long school year. During down time, many participants took in the 10-day summer music festival (Festival d’été du Québec – FÉQ). It was surreal to have attended so many concerts including Sheryl Crow, Sting/Peter Gabriel, Red Hot Chili Peppers, Duran Duran, and Francophone bands like Coeur de Pirate! No one could be found in their apartments in the evenings: you were out or enjoying the “5 à 7” hosted outside the dorms by participants and program teachers. It was magical. In the end, I returned home with a number of new approaches and fun activities for FSL teachers in my school. Having a chance to meet and live with teachers from all over the country was unique and special. This program did more than meet my professional interests and goals - it re-energized and re-ignited my love of French language and culture. I left feeling on top of the world! Now that’s great summer PD. La Joie de vivre et d’étudier au Québec! Comments from previous participants of the UBC Institut de Francais. I just wanted to let you know how much I thoroughly enjoyed, and profited from, my attendance at the Institute. I have attended a lot of training courses and language classes over the years, and I thought your team was made up of some of the best instructors I’ve ever had. Not only were they extremely patient and knowledgeable, but the creativity they demonstrated in the lesson plans was remarkable. I spent most of my class time with Stephanie and Myriam, both of whom are extraordinary instructors. I also benefitted from classes with Marie and Carl, equally gifted instructors. In addition, the organization and exuberance Johanne contributed made this a wonderful three-week experience. The staff, teachers + participants were great. It surpassed my expectations, and this experience will be one that I won’t forget. I was impressed by how well organized everything was. The classes were fun + the teachers were so helpful. The excursions were fun. I feel like I learned a lot by participating in them. I was also impressed by the variety of activities, as well as the free time given to us to explore + immerse ourselves in the beautiful Quebec culture! Having the opportunity to connect with colleagues was one of the strengths of the program. The “free” time was often the most valuable time to share ideas. The caliber of the participants and their patience and willingness to help and correct was amazing… The enthusiasm of the instructors was also great, did they ever rest? I liked how they mingled with the students no matter the level. Coming into the program, my main goal was oral comprehension. I really wanted to be more at ease and more confident with understanding when others spoke French. Although I still have a long way to go, I am comfortable and confident and eager to use my newly acquired skills. The combination of class and the many cultural activities (such as traditional dance, food and music) made the experience extremely valuable. It gave us a passion for “all things French” that we can pass on to our students. I was expecting classes but not all the extra activities: meals, films, tours, etc. This was a fantastic experience. I felt as much a tourist as a student. The music festival allowed me to go to some incredible concerts. I kept pinching myself to make sure I was really there – to be mindful of and grateful for this wonderful experience. I think my personal goal to improve my comprehension + oral skills has been exceeded. The immersion in French culture + language has me thinking and dreaming in French! The transition back to English is strange. We were taught as we would teach our own classes. I just wish it was such a small class size at my own school. This program exceeded my expectations! I was thoroughly impressed by the teachers’ level of skills while teaching and the care they took to assist everyone. I was never bored or too overwhelmed. I can’t say enough about how well the program was organized and that the activities were varied and balanced. Merci beaucoup! Based on previous experiences, the course was quite different from others I have taken. I appreciated interactive and communicative classes. It took me a while to recognize and appreciate this approach. Teachers were disciplined, passionate and focused. At the same time they were welcoming, supportive, encouraging and fun. Their love of the French language and their dedication to teaching was always apparent. UBC has an incredibly dynamic teaching team that appears to work seamlessly in teaching French. I found the team approach to be refreshing (as opposed to a single teacher approach), and the change of focus and personalities seemed to revitalize the class every day. The friendliness and professionalism of staff, profs, classmates + the Quebecois. It was such a privilege to participate in this program… I came for my students but ended up enjoying / profiting for myself. Youth language programs are available! Contact us for more information. Morning classes concentrate on developing comprehension and speaking skills, as instructors model various aspects of communicative language teaching. Authentic communicative activities are presented to encourage active student participation through the use of media, multi-modal texts, role-playing and interaction with guest speakers. Afternoon workshops provide in-depth learning of specific topics related to instructors’ expertise (e.g., technology in the French language classroom, la Francophonie, oral communication in French, etc.). Evening and weekend excursions offer memorable cultural opportunities, a great way of connecting with colleagues and establishing long-term connections. 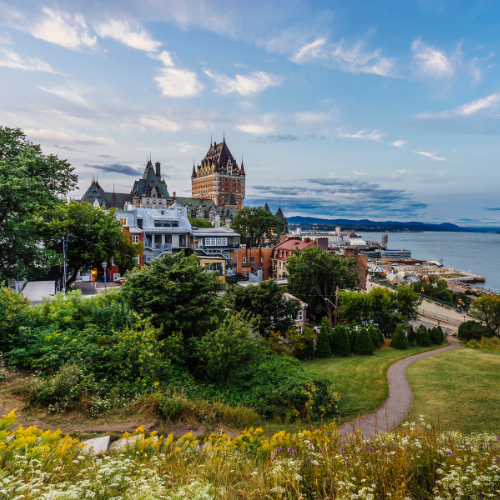 The program is offered during the Quebec City Summer Festival and participants can enjoy the Festival’s many cultural activities, from street musicians, concerts and plays to parades and fireworks on the St. Lawrence River. 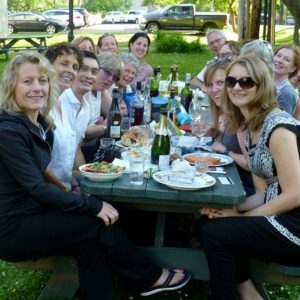 Our instructors from Quebec and BC are experienced language educators who interact with teacher-participants both inside and outside the classroom, making this a truly immersive language experience. The Collège Mérici is located near les Plaines d’Abraham, and is within easy walking distance of all Quebec City attractions. Participants should arrive in the late afternoon on the first of the day of the program, Monday, July 1, in time for the Welcome Reception at Collège Mérici that evening at 7:30 p.m. The program starts with placement interviews on Tuesday, July 2 at 8:30 am. Classes are held Monday to Friday from 9:00 am to 12:00 noon. Afternoon workshops last approximately two hours. Most evening and weekend activities are organized, while some are optional. The program ends on Friday, July 19 in the late morning. Single occupancy accommodation at Collège Mérici for eighteen nights (July 1-18) is included in the cost of the program. Participants have their own rooms in four-bedroom apartments, with shared kitchen and bathroom facilities. Each apartment has a fully equipped kitchen, a living room and dining area. Spouses and children cannot be accommodated during the program. Please note: Participants should arrive in the late afternoon on the first of the day of the program, Monday, July 1, in time for the welcome reception that evening at 7:00 p.m.. Lunches are provided on weekdays, while breakfasts and dinners are the participant’s responsibility. Participants are responsible for arranging their own transportation to Quebec. The total cost of the program is $3,400 which includes a non-refundable $300 registration fee. BC teachers are eligible for a Canadian Heritage bursary that covers up to half of the program cost if they speak French as an additional language and are or will be involved in the teaching or supervision of French programs at public or independent school in British Columbia. Teachers who have previously attended this institute are not eligible for the bursary for the following three years. This year’s bursary has been confirmed at $1,800. There are a limited number of bursaries so applying early is encouraged to avoid disappointment! Bursaries for this program are administered by the University of British Columbia. Applicants are accepted on a first-come, first-served basis based on receipt of the registration form and payment of fees. A non-refundable registration fee of $300 is required with your application. Seats are limited in this program. Early registration is strongly recommended. BC Teachers – Non-Credit Participation Fee: $3,400 – Canadian Heritage Bursary (in 2017 the bursary was $1,600). Please see “Fees and Bursary” for information on the status of the bursary and bursary requirements. Canadian Teachers from other provinces or territories may qualify for their own province or territory’s bursary programs and should check with their School Board or Provincial Coordinator. Full payment of the $300 registration fee is required with your online registration in order to reserve your space. *Teachers who have previously attended this institute are not eligible to take it again for three years. Reminder: BC teachers who do not complete the program are ineligible for the Canadian Heritage bursary and will be responsible for payment of the full cost of the program. Cancellations received on or before Friday, April 27, 2018 are eligible for a full refund, less the non-refundable $300 registration fee. Cancellations received between April 28 and May 31 are eligible for a refund, less the non-refundable $300 registration fee + a $300 administration fee. There is no refund available for cancellations received after May 31. The non-refundable registration fee of $300 is required with your application form. All programs are subject to minimum enrolment. If the Institute is cancelled due to low enrolment, your registration fee will be refunded in full. Please Note: The bursary supporting this program has not yet been confirmed by the BC government. The provincial government has been supporting this program through the Canadian Heritage Bursary for the past 25 years and we are confident this will continue. We expect to be able to communicate regarding the status of the bursary by April 1. In the unlikely event that the bursary is not approved, all applications will be cancelled and the registration fee of $300 will be refunded in full. Travel: We recommend you do not finalize your travel arrangements until the Institute is confirmed to run. You should receive notification by the end of May or early June. Admission will open on October 19, 2018. Bursaries for BC teachers are awarded on a first-come, first-served basis. Do not wait too long or you may miss out on a bursary. Can I download and print the forms on this website and use them for my application? Please submit the application form and non-refundable $300 registration fee online. No. We require the application form and registration fee to be submitted online. The program lasts 19 days. If you do not have to return home right away, you should consider spending a full three weeks in Quebec City and take advantage of the inexpensive accommodation offered by Collège Mérici on the weekends before and after the Institute. In 2017, the $3,400 total fee included the non-refundable registration fee of $300, tuition, eighteen nights accommodation, lunches from Monday to Friday, and all scheduled activities. The fee does not cover transportation to Quebec City, nor does it include breakfasts, dinners or weekend lunches. In 2017 the $300 non-refundable registration fee was included in the total fee. BC teachers will receive a T4A in the amount of the bursary received on your behalf by UBC. What is covered by the bursary? The Canadian Heritage bursary will cover up to half of the total program cost. Teachers from other provinces must pay the full cost of the program themselves. UBC awards the Canadian Heritage bursaries to BC teachers for this Institute on behalf of the French Education Branch of the BC Ministry of Education. Funding comes from the Government of Canada. You do not have to apply for the bursary yourself. Canadian teachers from other provinces or territories may qualify for their own province or territory’s bursary programs and should first check with their School Board or Provincial Coordinator. What happens if there are no bursaries left? We will still accept your application and put you on a waiting list. Your $300 registration fee will be returned to you if a bursary does not become available and you are unable to pay the full cost of the program yourself. What happens if the bursary is not approved by the provincial government? Do School Board staff qualify for a bursary? Unfortunately not. Only BC teachers, French program coordinators, Vice-Principals and Principals who are or will be involved with a French program can receive a bursary. Can I get credits for the Institute? The Institute is a non-credit program. Some districts will recognize the time and effort you spent learning French in Quebec. Can I do the Institute more than once? Yes, you can, as learning and using an additional language is a life-long endeavour. However, three summers must pass after you have attended UBC’s Institute in Quebec City before you can apply for it again (i.e. if you took the institute in 2015, the next institute you can attend with a bursary is in 2019). You cannot receive more than three bursaries for UBC’s Institute in Quebec City. Please remember that UBC offers other programs where you can qualify for a bursary and have a different French learning experience. Do I make my travel arrangements? Yes. You are responsible for making your own travel arrangements. You should plan to arrive no later than the afternoon of the first of the day of the program. You are expected to attend the Welcome Reception that Monday evening at 7:00 p.m. at Collège Mérici. You can leave in the early afternoon on the last Friday. Life in Quebec City is relatively inexpensive. You will be tempted to eat at restaurants that offer tables d’hôte at a good price. Most of the activities offered by the “Festival d’été” are free once you have purchased your macaron (passport to the Festival). Can I bring my children or my significant other? Unfortunately not. The college can only accommodate participants and you would have no time for them should they stay in a nearby hotel. The Institute will take up 120% of your time and energy! If you are interested in the next Institut de Français (July 1-19, 2019), please complete your information below and we will contact you once registration is open and all program details have been finalized. Please notify me with program updates for the Institut de Français program. Avec la participation du gouvernement du Canada et du ministère de l’Éducation de la Colombie-Britannique. With the participation of the Government of Canada and the Ministry of Education of British Columbia.